In this video you'll find out how to fix any marketing funnel you just four steps. Are people opting in to your lead magnet? Are people clicking on the emails that you're sending them? Are people buying your stuff? So, I suggest starting asking your questions to identify the real issue in your funnel and fix it. You’ll definitely, improve your ads and leads which will make your business grow consistently. 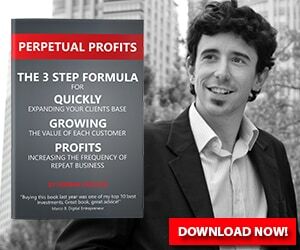 Also learn 3 Steps to 6 Figure Sales Funnels. Everybody, what's up? On this video you'll find out how to fix any marketing funnel you just four steps. Hey what's up her name Vasquez here and welcome to another video. Thank you once again for the replies the comments and everything, you guys are amazing. And I really really appreciate that you're watching this video right now. And on this video I kind of wanted to make something real quick, real quick video because the reality is that you know, I was talking to a client the other day, and she was all over the place she was trying to fix her funnel. We were hopping on a call she was a coaching client of mine and we went on a call and she was all over the place she was doing changes to her ads, and then she was also doing changes to her opt in page and to the email and then to the sales page and the offer so it was kind of you know, it was kind of all over the place. So that's something that I wanted to tell you guys how to fix right now. Now, before I do that don't forget to hit the LIKE /SUBSCRIBE /COMMENT, whatever you're seeing these video and come and join the Facebook group is 100% free. There's a lot of other good stuff in that happening right now. Alright, so as I was telling you guys the other day was I was talking to one of the coaching clients that for the growth league which is my coaching program and the reality is that she was overwhelmed right? she had this really amazing funnel It was a simple funnel but she was getting sales but for some reason she was overwhelmed, so we sat down and I tell her okay so tell me a little bit about your funnel. 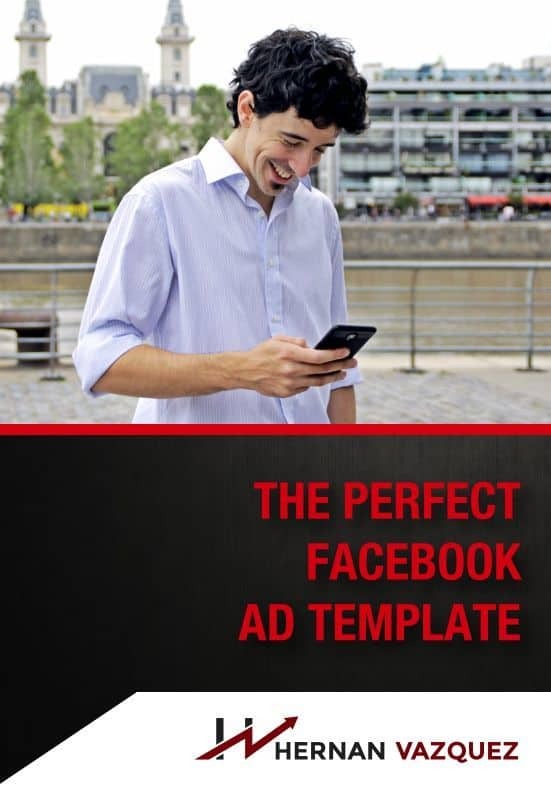 You went ahead and said alright so, right now I have Facebook ads and they're running to an opt in page right, where I offer a free and ethical bribe or lead magnet, however you want to call it, and people will sign up will download the lead magnet. They will get a couple emails and then on the emails they will link and click on the email and they will go to sales page where I sell a program coaching program would not know so great and dandy and whatnot and a asked her Okay, so are you getting sells of your program? She said yes, but not at the rate that I would like, right. So we went through that real quick and we sit down and say all right, so let's go through your Facebook ads campaign right so she cracked that the account open and went through that. And the reality is that, you know, I only asked her for question for her funnel. So I told her listen real quick, this is what we need to do. There are four questions that we need to answer. And that's it. Question number one are people clicking on your ads? And again, we went through her Facebook account and yeah, certainly she didn't have any issues with her ad, so I told her Okay, so the ads are effective. Do not touch the ads, because they're bringing traffic to your page. So that's awesome. Number two, Are people opting in to your ethical bribe to your lead magnet? and we went through her ClickFunnels account and she's we saw together that she had, I think it was a 70% conversion rate 17 sorry, percent conversion rate on that page. And I said alright, so this is something that we might want to fix because I always like to work with at least 20 to 25% opt in rate on any free stuff that we're giving right but let's let's move on. Question number three, Are people clicking on the emails that you're sending them? right a are the open ended the clicking on it or the landing on your sales page. And we went through that she cracked open her Active Campaign account. And yeah, indeed, they weren't clicking, they were visiting the sales page. So I told her, okay, so there's nothing wrong with your emails. Just keep doing what you're doing. What you must do, because they're clearly really, really good. And number four, Are people buying your stuff? visiting the page and buying your stuff? And he said yes, because she was getting some Sells. So your problem, here's the thing, here's what we found out your problem or not the ads number one, people are clicking on them. Number two, your emails are okay, don't focus on them. Number three, yourself. Space is doing fine. Don't focus on that, right. So all that was left was the fact that we needed to make the opt in page better because again, we want to make paid media work with at least 20% opt in rate or more, ideally more. But so after that talk, she was really happy because she had clarity. She didn't have to mess with a million things. She didn't have to mess with her audience on Facebook, or with her emails or split test another headline for his sales page. All she needed to do was to actually go ahead and make the opt in page better. So whenever you're trying to fix a funnel, she's tried to break it down in what pieces of what moving parts are there. In this case, it was an easy final, simple funnel. But there's always almost always four or five questions that you need to ask it it's always about are people clicking on your ads, it's always about our people opting in. If you have a webinar or people going through the webinar, or people buying your stuff, or clicking your emails and whatnot and then buying your stuff based on that you will be able to, to pinpoint exactly what the problem is. And there you go, all you need to do is to turn around and fix them. Alright, so I hope this helps you. If it does, please feel free to share this video with somebody that needs to see this please come and join the free Facebook group. There's more than this on the Facebook group. There's more of this a lot of this actually in the Facebook group. You can come and ask questions and it's completely free. I'll see you guys next video.